480-456-8888 | See How Our Irrigation Maintenance Can Save You Money. Proper Irrigation Management Including Irrigation System Repair Is Essential To Landscape Maintenance. At CAM Solutions, We Will Have Available For Your Property Our Irrigation Specialists Who Are Trained To Inspect Your Sprinkler System For Proper Maintenance And Use To Ensure The System Is Not Wasting Water, A Precious Resource. Wasting Water Is Not Only Bad For Environmental Resources, But It Can Also Add Unnecessary Cost To Your Landscape Maintenance. Our Irrigation System Repair Specialists Are Trained And Educated To Surpass The Standards To Preserve Water At Your Property. Proper Water Management Requires An Individual To Have A Complete Understanding Of The Entire Irrigation System Including The Specialty Of Irrigation System Repair. These Irrigation System Repair Specialists Frequently Adjust The Sprinkler System Depending On The Seasons And Other Variables To Include Erosion Of The Land, Changing Of The Weather, Flooding, And Even Drought Conditions. To Ensure Proper Year-Round Maintenance Of Your Irrigation System, Our Specialists Maintain A Checklist To Include Checking And Adjusting Timers For Proper Programming And Adjusting Watering Schedules According To Season. We Also Perform System Tests To Note All Areas In Need Of Adjustment. A Detailed Written Assessment Of All Findings Is Kept On Record For Each Scheduled And Emergency Irrigation System Repair Maintenance Assessment Performed. Appropriate Irrigation System Placement And Management Also Includes Regular Routine Monitoring Related To The Position Of Sprinklers And The Output Of Each System. Sprinklers Are Consistently Checked For Appropriate Coverage And Are Adjusted Or Repaired On An As-Needed Basis. It Is Of The Utmost Importance To Limit Waste Caused By Sprinklers On Any Property We Maintain. As Water Is A Precious Resource For Landscape Maintenance, It Is Of The Utmost Importance To Not Waste. Wasting Of This Resource Can Be Detrimental In Many Ways. For Example, Overwatering Can Promote Erosion, Wash Away Pesticides And Fertilizers, Stimulate Fungus Growth, And Damage Roots Of Grasses And Plants. Hence, Irrigation System Repair Is An Important Part Of Our Maintenance Program. It Is Important To Remember That Irrigation Repair Is An Ongoing Process. We Will Monitor Your System In A Hands-On Approach. Our Irrigation Specialists Will Ensure That Your System Is Running To The Highest Degree Of Efficiency. 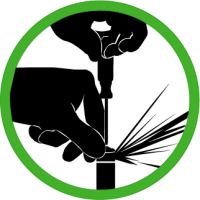 Irrigation Audits Are Run Monthly And Are Included In Your Monthly Maintenance Agreement. These Audits Include Monitoring, Maintenance, And Repair Of Timers And Valves. 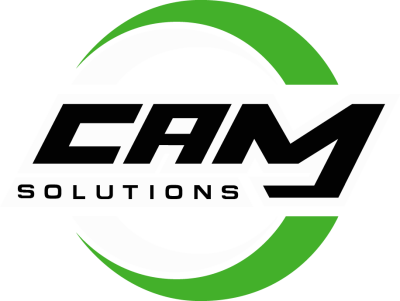 It Is Important To Note That CAM Solutions Has Irrigation Specialists On Call For Emergency Service 24 Hours A Day To Ensure Hassle-Free Property Maintenance.